People are not paying attention to their owners manual. Right there. 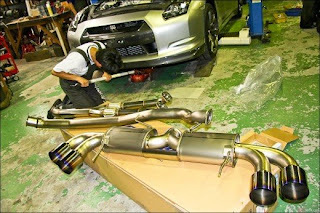 Do not modify your R35. For all those not paying attention to that here are a few new parts sneaking up on the cars. 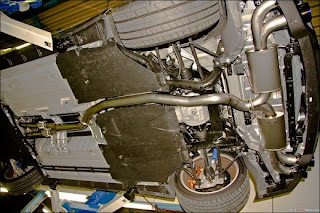 This exhaust does not look like a preztel or some kind of metal bending experiment. Stainless 80 mm piping with titanium tips. 378,000 yen. R35 tax added in there. Alcon Rotors 1kg 2.2 lbs lighter than the stock rotors. They are also not cross drilled. Cross drilled rotors have a tendency to crack. 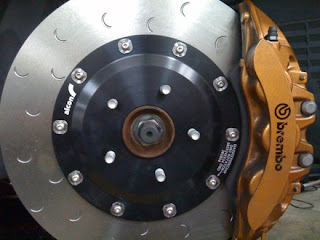 Slotted is better for durability.They are around $1000 each for the rotor and hat. The CBA-R35 GT-R Wishlist.. Wheels, tires, ECU upgrades, suspension, etc. See if you agree with what he likes for parts.